Geographically located in the heart of the snowiest city in the United States and about two miles from Pennsylvania’s most visited state park, Aleks Powersports has embraced the four-season climate in Erie, PA, to help their dealership thrive. Walking into the dealership, the first thing that will catch your attention is the bright orange 1970 Moto-Ski hanging from the ceiling, followed by several classic Yamaha motorcycles, Chicago Scooter Company scooters, Kymco ATVs and UTVs and Hammerhead go-karts, just to name a few. Fifty years ago, Chet Aleksandrowicz opened Aleksandrowicz Snowmobiles, a small snowmobile business with five Moto-Ski snowmobiles for sale in Erie County. He later added Fox and Bonanza Mini-Bikes, Bridgestone Motorcycles and Mini-Bikes, Ossa Motorcycles and Yamaha, upon the business’ move to a new storefront under the name “Chet Aleks Yamaha” in 1973. The dealership expanded into the boating industry with the addition of Mariner Outboard Motors and Starcraft Boats in 1976. Noticing the demand near the Great Lakes in the marine industry, the dealership relocated to their current location in 1985, approximately two miles from the shores of Presque Isle State Park, which welcomes over 4 million visitors each year, all of whom pass the dealership on their way to the beach. Bryan and Mark Aleksandrowicz, Chet’s two sons, grew up in the dealership, following in their father’s footsteps. Along with the line of Yamaha powersports products including WaveRunners, the family added a full line of Polaris products to their inventory in 1992 and changed the name to Aleks Powersports in 1998. 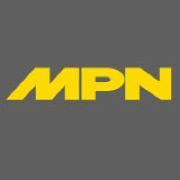 Gaining momentum into the millennium, Aleks Powersports acquired a local Suzuki franchise, added E-Z Go Utility Carts and an Indian Motorcycle franchise by their 35th anniversary. Inventory at Aleks Powersports goes through a thorough inspection, above and beyond what is required by the state of Pennsylvania. The dealership also offers an in-house warranty on all pre-owned products, differing from manufacturers’ warranties, offering an extra piece of quality to their service. Aleks Powersports’ service department specializes in year-round maintenance and protection on all powersports vehicles, from complete service to tune ups, including oil changes, winterizing and diagnosis. 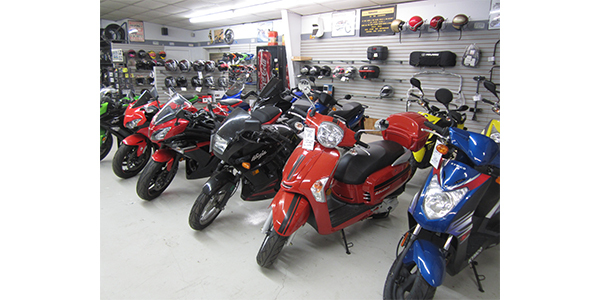 Being in a high volume area brings a lot of traffic to the dealership, but Aleks Powersports takes it one step further, listing several pre-owned vehicles on Craigslist and eBay, bringing people into their dealership from as far away as Michigan, New Hampshire, Canada and Switzerland. Over the businesses’ 50 years, Chet, Bryan and Mark have been building relationships with their customers. The brothers reminisced on several individuals who came in, remembering their names, the first bike or scooter that they sold to them, even the color.